The mission of the Missouri GIS Advisory Council (MGISAC) is to assemble leaders in geospatial technologies across Missouri to discuss, build, enhance, and guide our mapping landscape through education, collaboration, cooperation, and stakeholder engagement. The council meets monthly on the second Thursday from 10:30am to 12:00pm. If you are interested in attending or calling in to a meeting, please go to the Committees tab above, navigate to Marketing and Communications Committee, and click on MGISAC Listserv. 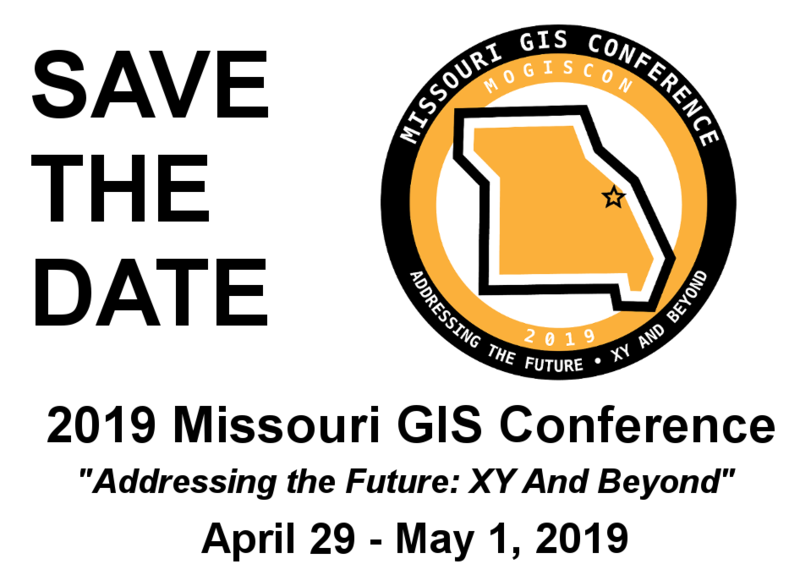 Mark your calendar to join us at the 2019 Missouri GIS Conference at the Doubletree Hotel in Chesterfield, Missouri.